Getting more than 200,000 people to and from the nation’s capital for the 1963 March on Washington for Jobs and Freedom was a huge organizational feat. 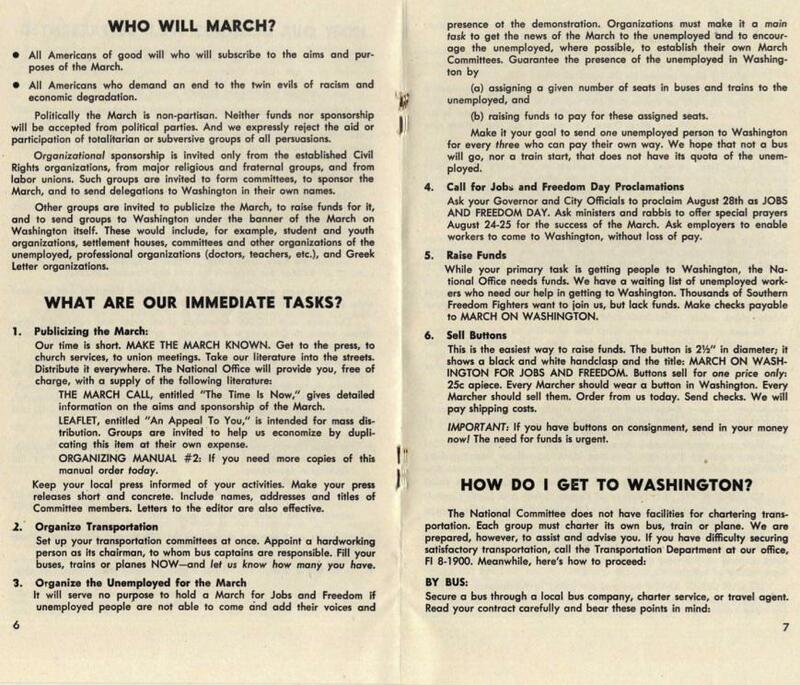 These pages from the organizing manual for the March show how the national committee managed to nail down the logistical details in the weeks before the event. 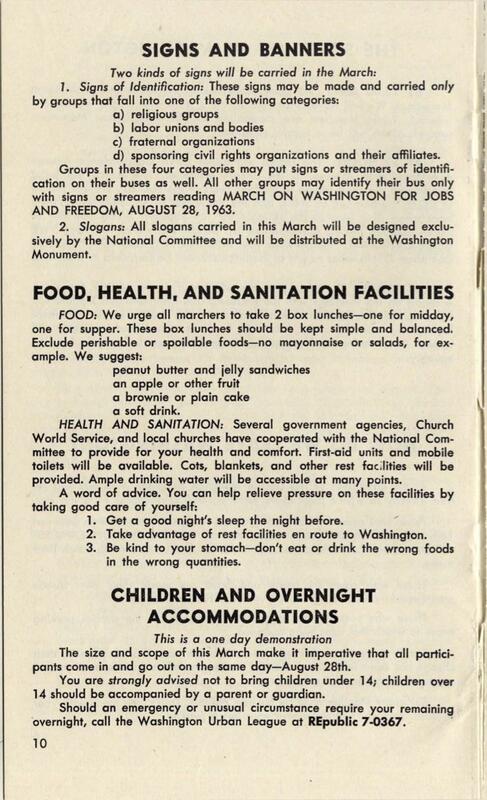 As the booklet shows, Rustin and the national committee made it their goal to get the protestors in and out of DC in one day. In the name of simplifying logistics, they strongly discouraged attendees from staying in the area overnight. In the end, many endured two back-to-back overnight bus or train trips, with a day marching outdoors sandwiched in between. The organizers knew these strenuous conditions might lead to illness, and worried that restaurants and facilities would be few and far between; to that end, the manual begged attendees to pack healthful box lunches, get rest, and drink water. 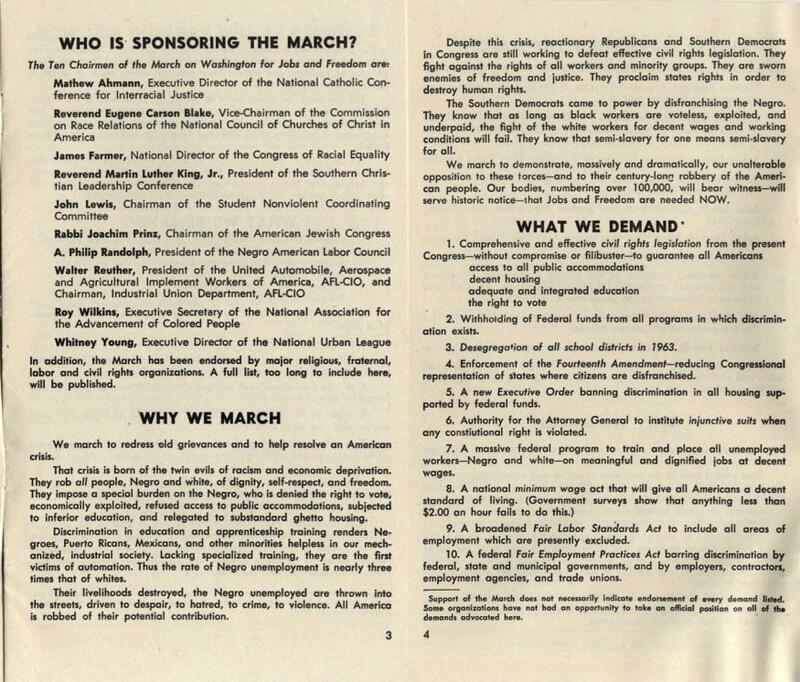 You can see all pages of this manual, as hosted by the Tulane University online collection “Print Culture of the Civil Rights Movement, 1950-1980,” here. Thanks to the Amistad Research Center’s Andrew Salinas for his help. 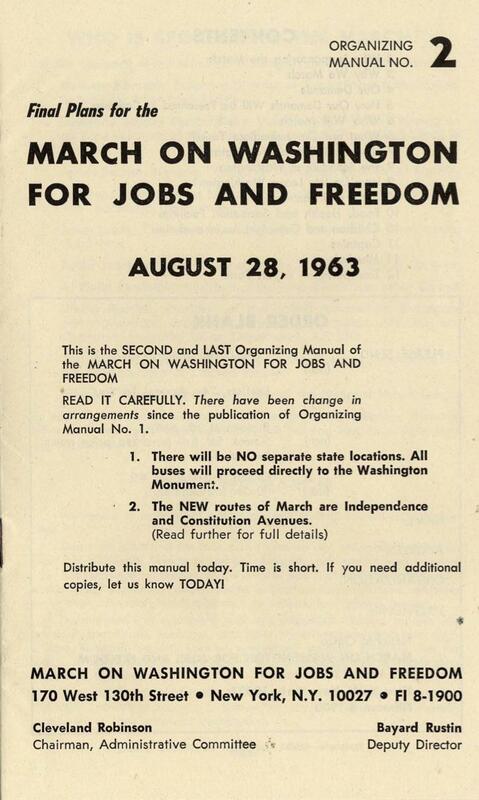 Final Plans for the March on Washington for Jobs and Freedom. Via Tulane University’s Print Culture of the Civil Rights Movement, 1950-1980.